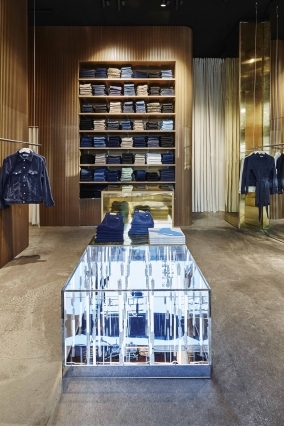 The Cords&Co, a fashion brand devoted to corduroy commissioned In Praise of Shadows to develop a concept for their physical presence as well as the design for their first set of stores in Stockholm. Paris, London, LA and NY. The first to open with the launch of the brand was Stockholm, Paris and London. 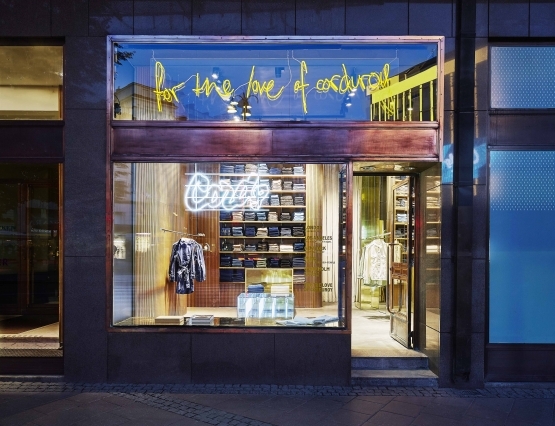 The Cords flagship store in Stockholm at Stureplan was the first to open. 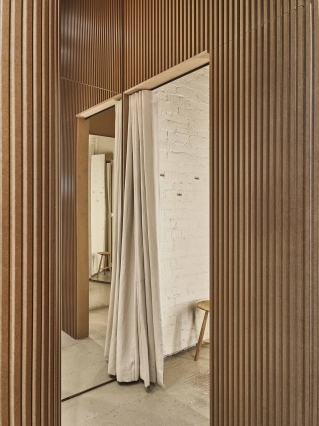 It is a small but high space where the vertical is dramatized by added freestanding MDF walls. 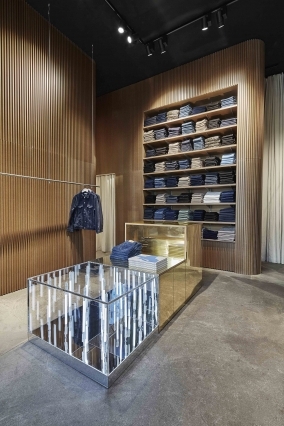 An existing pillar is cladded in brass and the cut-up mirrors break the views and expand the space. 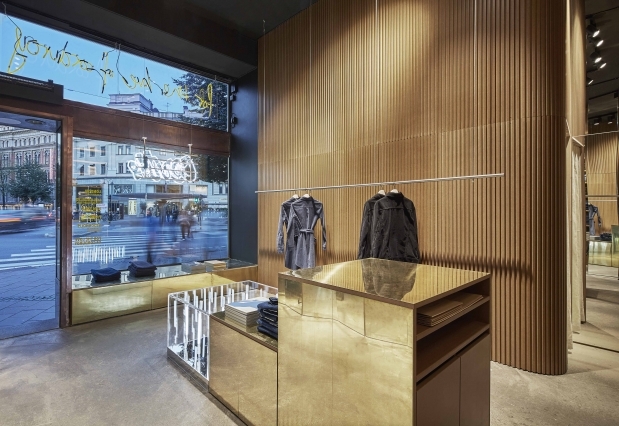 The cashier in brass and the display table as a neon mirror installation, are reflecting the neon “cords”, display upfront to turn it into a focus of the space.